A waffle knit top with a V-neck and short sleeves. An off-white top with short sleeves and a twisted, open back. 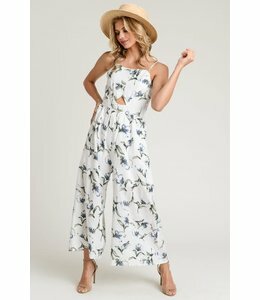 A breezy jumpsuit in a floral print featuring a small cut-out in the front and spaghetti straps. 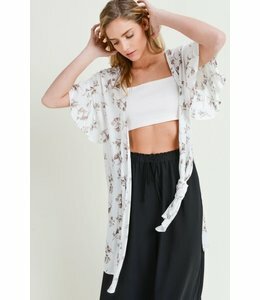 A breezy, floral kimono with short, ruffled sleeves--perfect for spring! 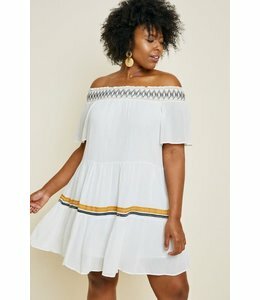 A short, dainty dress featuring a lace-up bodice, eyelet trim, and spaghetti straps. Gold hoop decorated by white and gold beads and neutral fringe fan. A maxi dress with a smocked top, tie straps, ruffle trim, and a subtle stripe pattern. 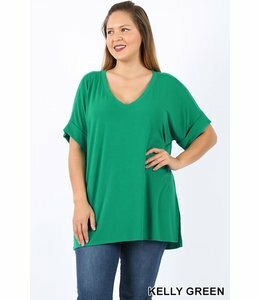 A simple, solid tunic top with a V-neck, rolled sleeves, and a side slit. 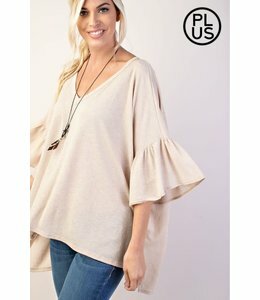 A knit tunic top with a boat neckline and short cuffed sleeves. 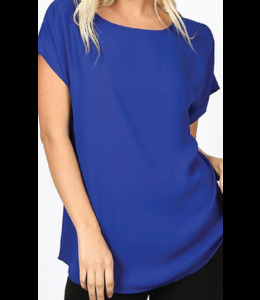 A breezy top featuring 3/4-length ruffled sleeves, a curved hemline, and a V-neck. A simple ivory jumpsuit with ruffle trim and adjustable straps. A short sleeved blouse with button details and a twisted front. 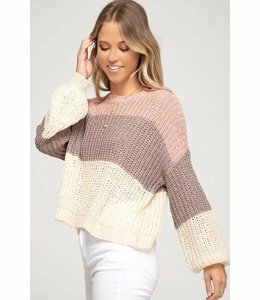 A bubble-sleeved sweater with color blocked stripes in Neapolitan-esque colors. 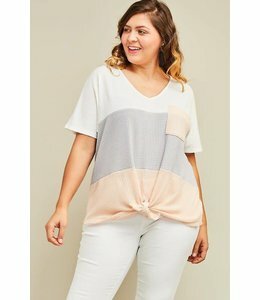 A color-blocked knit tee with a tie detail and pocket on the front. A flowy embroidered tunic top with a V-neck and cut out shoulders. An oatmeal colored sweater with 3/4 length dolman sleeves. A light, flowy wrap jumpsuit with short ruffle sleeves. 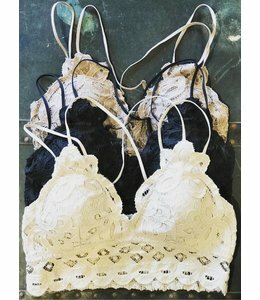 A lacy bralette with double, criss-crossing straps and a smocked back. 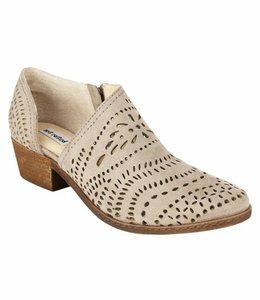 Faux leather bootie with a cut-out design, an open outer ankle, and a zipper on the inner ankle. 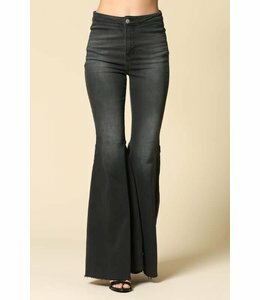 Super flared bell bottom jeans with distressed, raw bottom hem.